2013 - This Page! 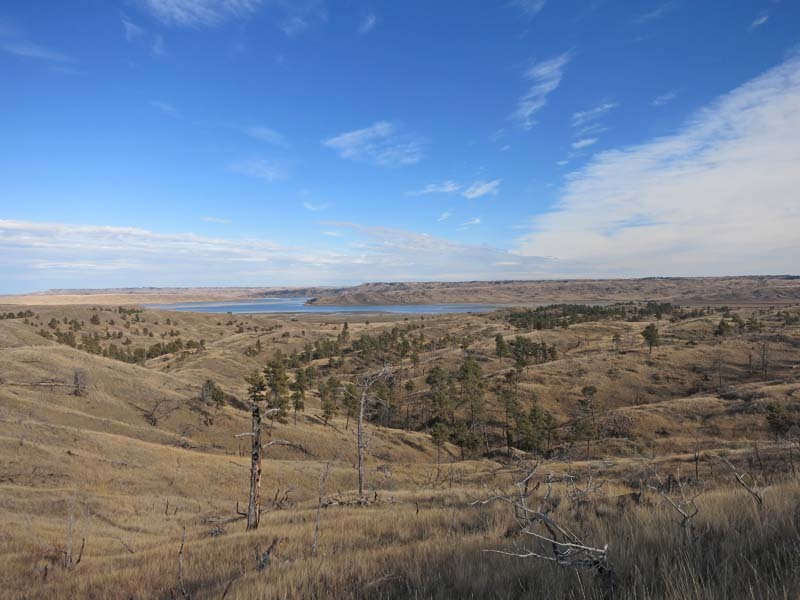 - Deer hunting at Fort Peck Montana for 2 days then fly directly out of Billings, Montana. 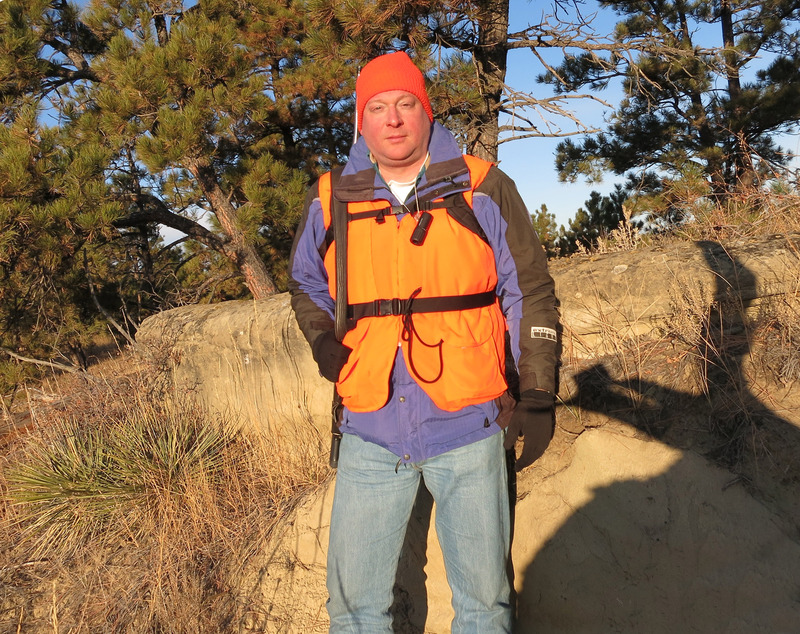 I enjoy hunting for a week in Montana every few years, but most of the time I'm a software engineer in Silicon Valley, California. As such, I like to bring electronics along to make the trip safer and more fun. 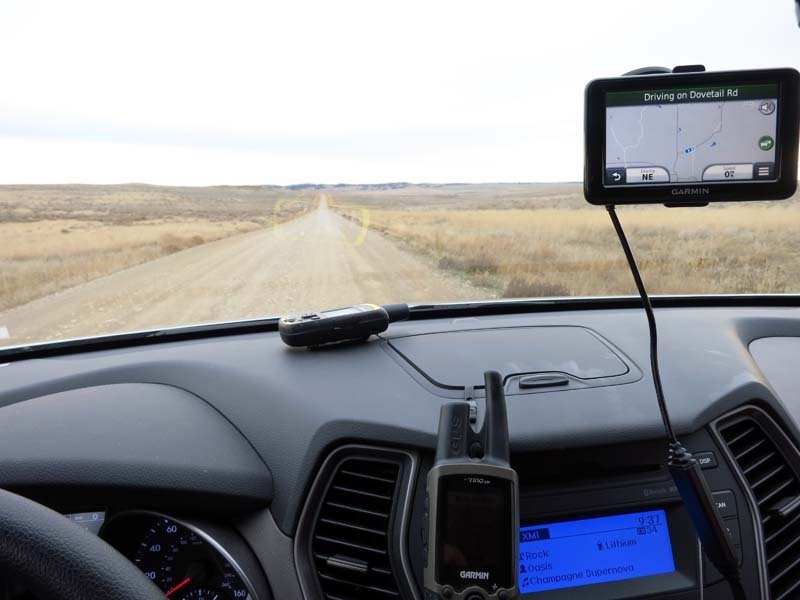 :-) One of my newest "toys" is the "DeLorme InReach SE two way Satellite Communicator" (no cell coverage where we hunt, and it's 50 miles to the nearest town). 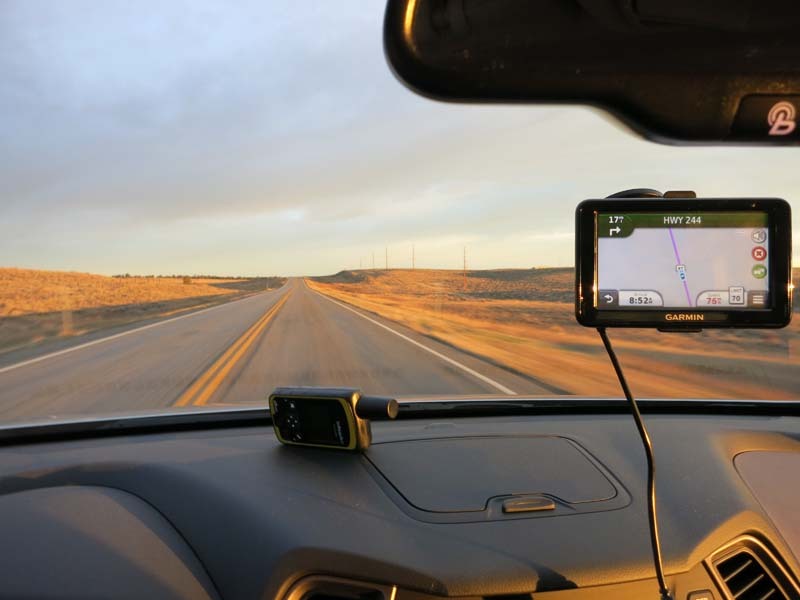 The Inreach can do two way satellite text messages, and it tracks my location every 20 minutes LIVE on a map for friends (and rescue teams) to watch. Below is a picture before I left of some of the electronics I brought. 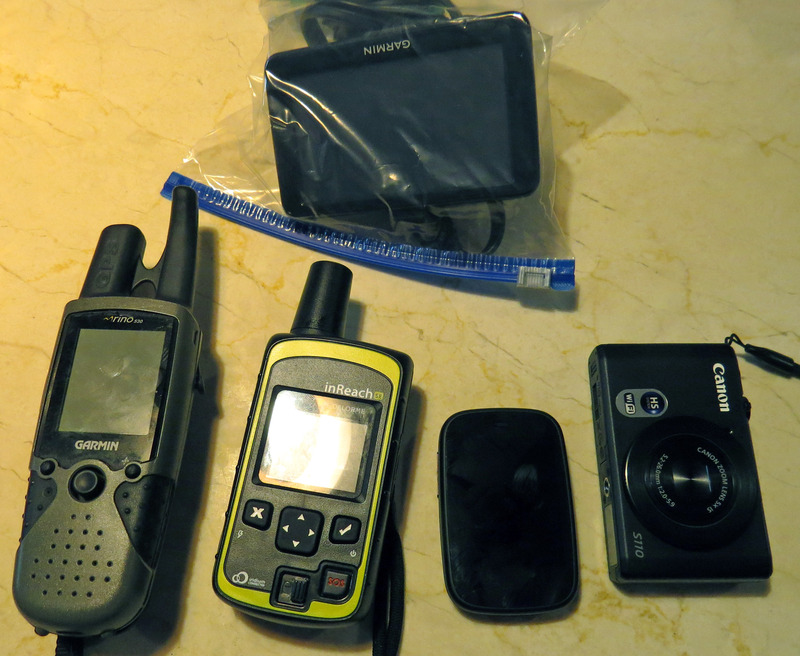 That's 4 GPS units (one for driving, one for hiking, the DeLorme InReach SE that reports my position, and of course the one built into my phone), a digital camera, a cell phone (HP Veer in center of picture, the smallest smart phone made). Not pictured here I also brought an iPad and a DC to AC converter to allow me to charge all these toys from the cigarette lighter outlet in my rental SUV. 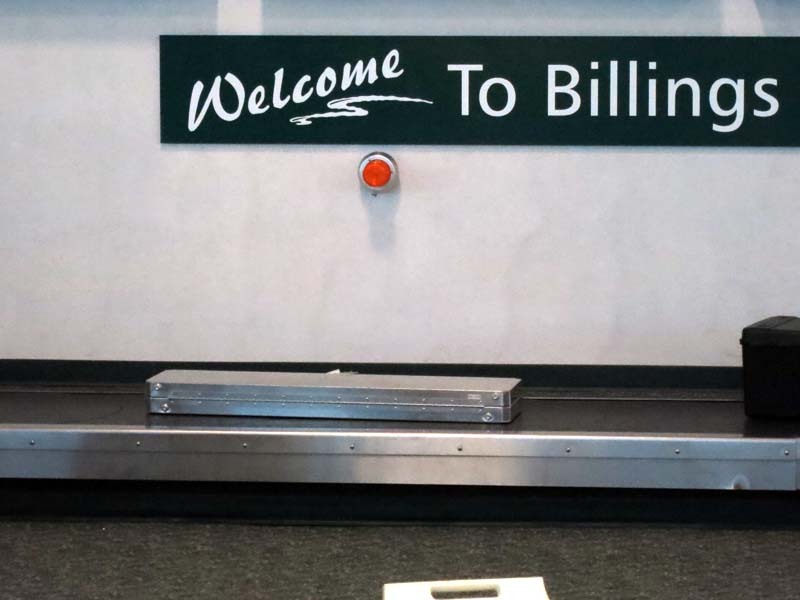 I flew out of San Francisco airport, California through Denver into Billings, Montana on Friday, November 1st, 2013 and arrived into Billings Montana at 5pm. 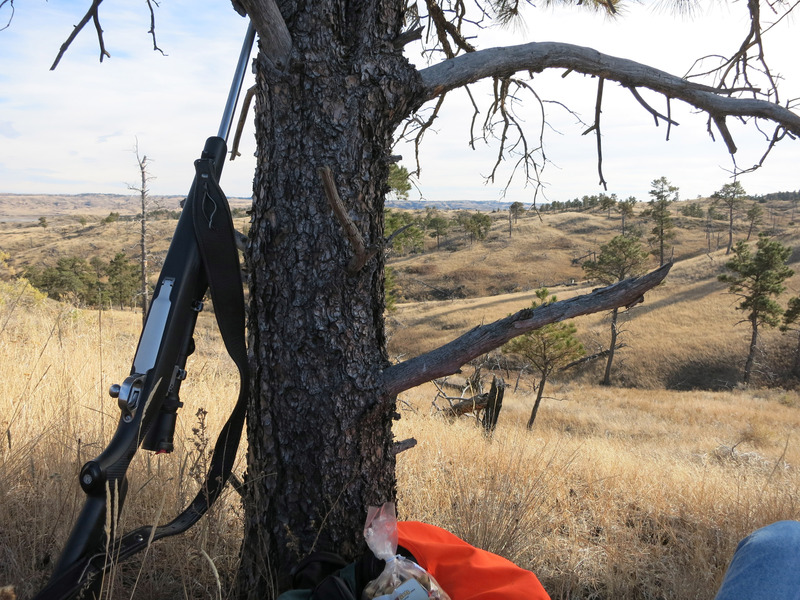 It is near the start of hunting season in Billings, Montana, here are some hunting rifles that came off the flight with mine. 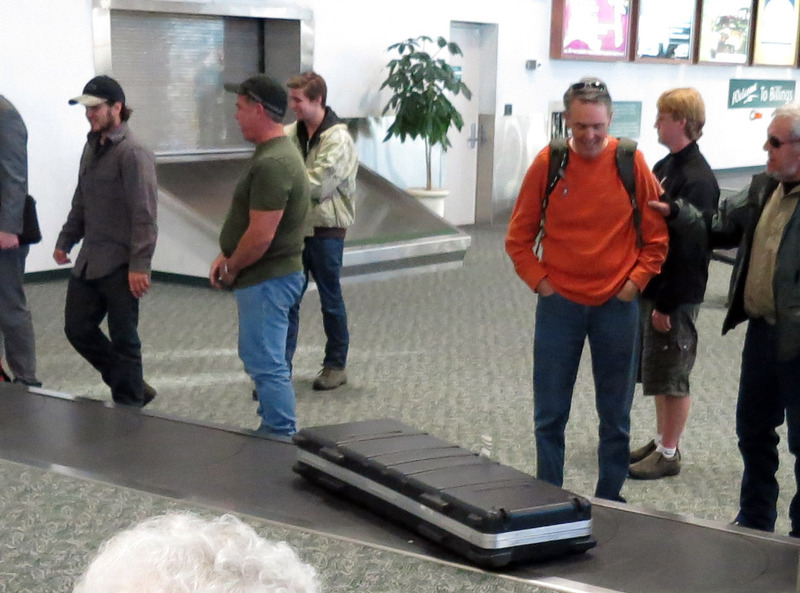 Another hunting rifle in baggage claim. 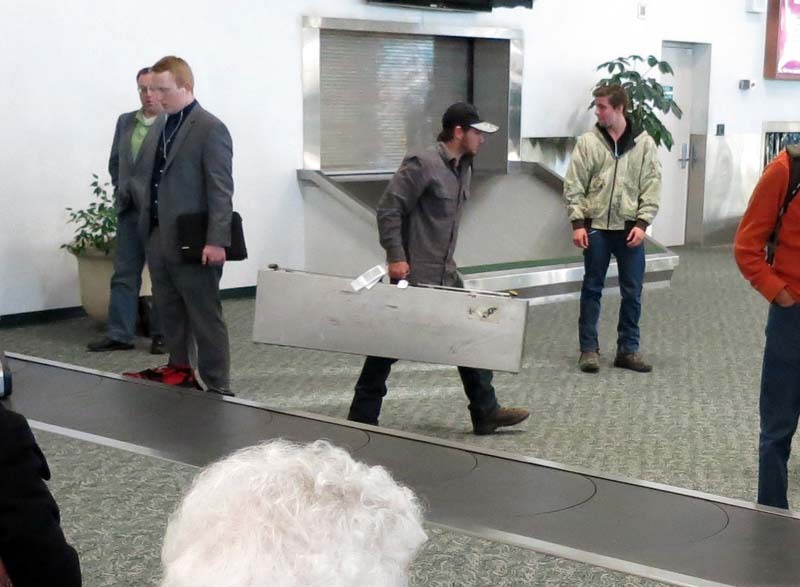 This man picks up his hunting rifle from the baggage conveyor belt in the Billings Montana airport. 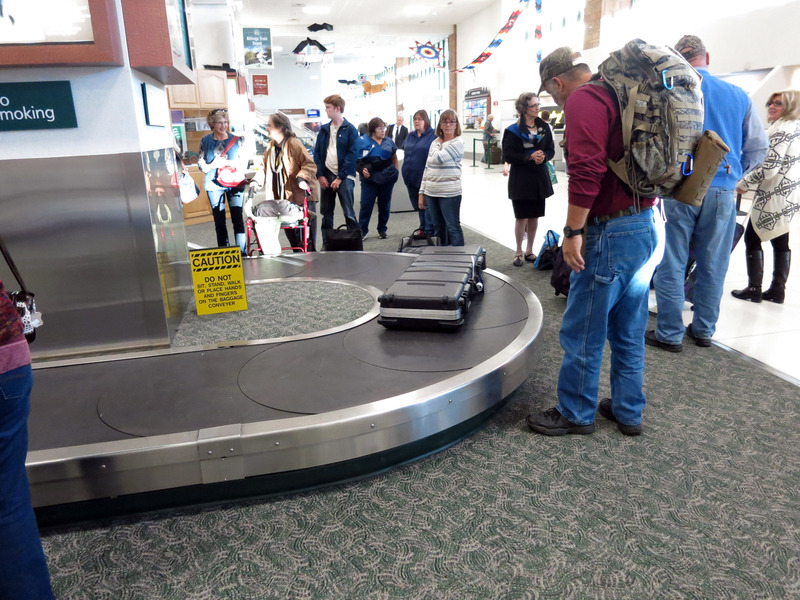 Another rifle on the luggage conveyor belt, Billings Montana Airport. 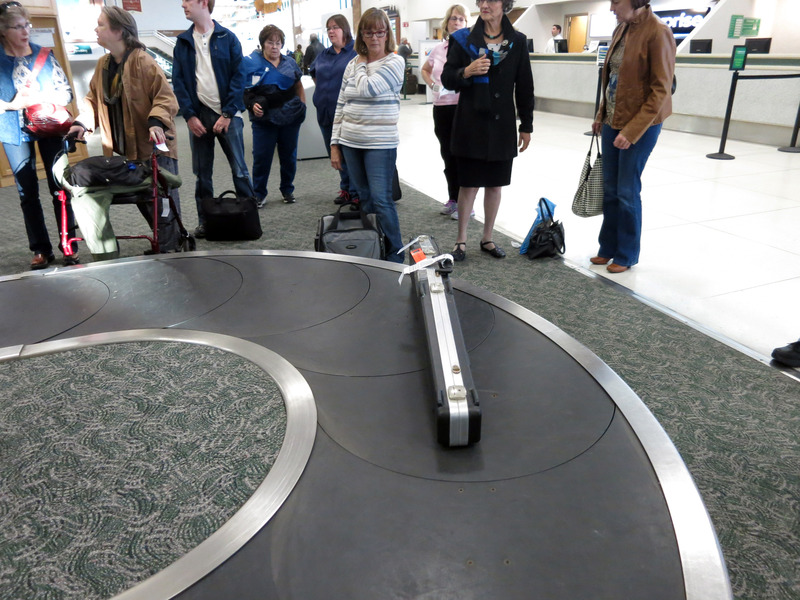 Finally, this is my hunting rifle that is on the airport luggage conveyor belt. 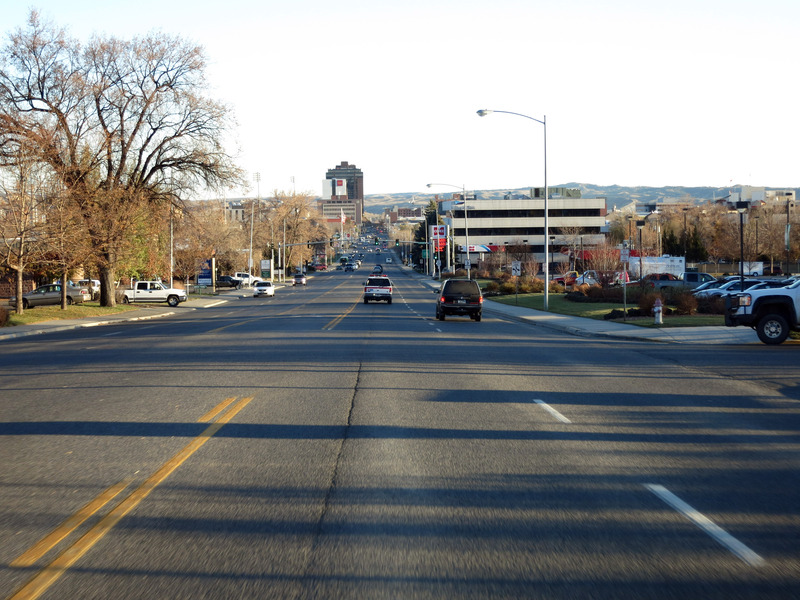 Rental car picked up, below is a picture of the drive from the airport into downtown Billings, Montana. After quickly checking into my hotel room, the next stop is Cabela's in Billings, Montana for some supplies like an extra sleeping bag, a disposable towel, and batteries. 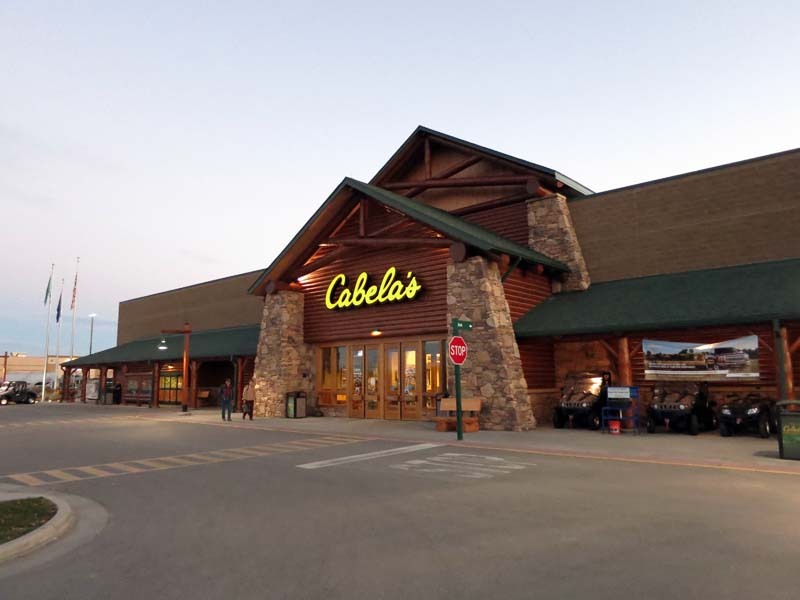 I also stop for firewood at the Albertsons, and at the Albertsons get a couple Styrofoam coolers filled with ice and some food. 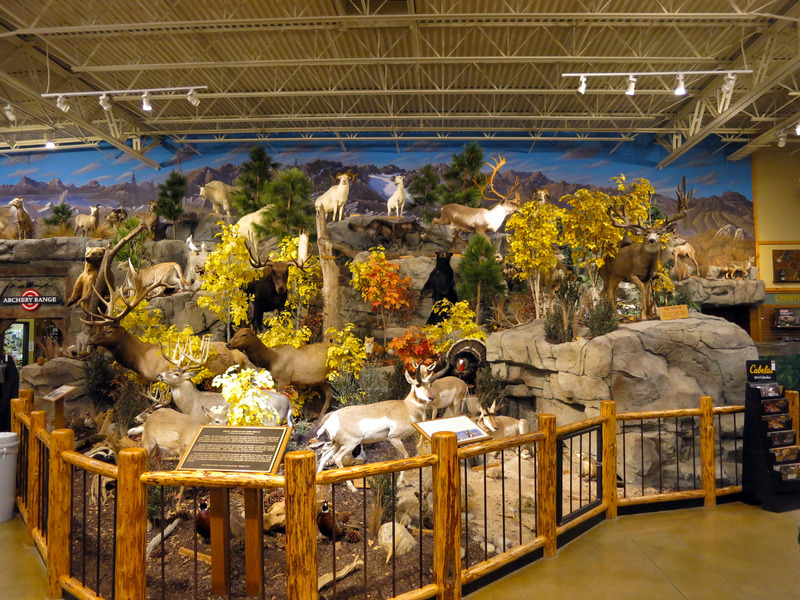 Below is the "Cabela's North American Big Game Display" in Billings, Montana. It's pretty elaborate. 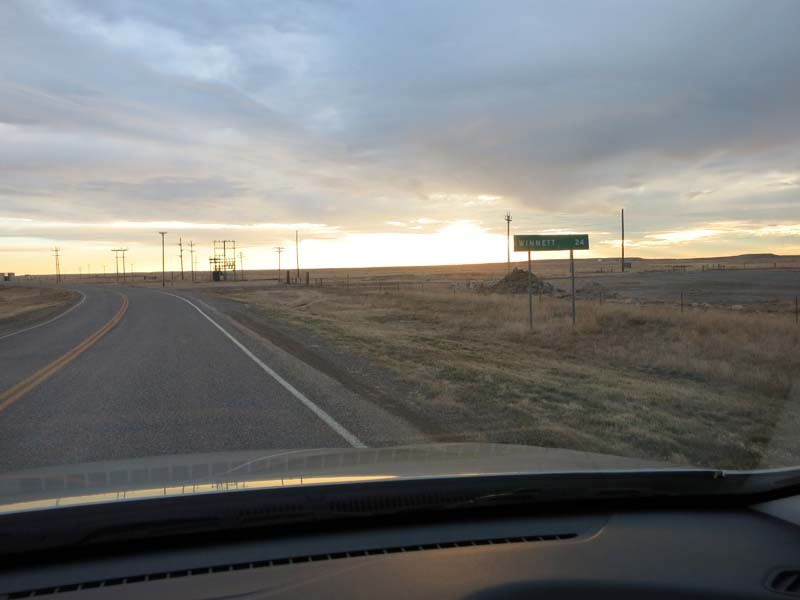 Up and out and driving north out of Billings, Montana at 7:40am as the sun rises. 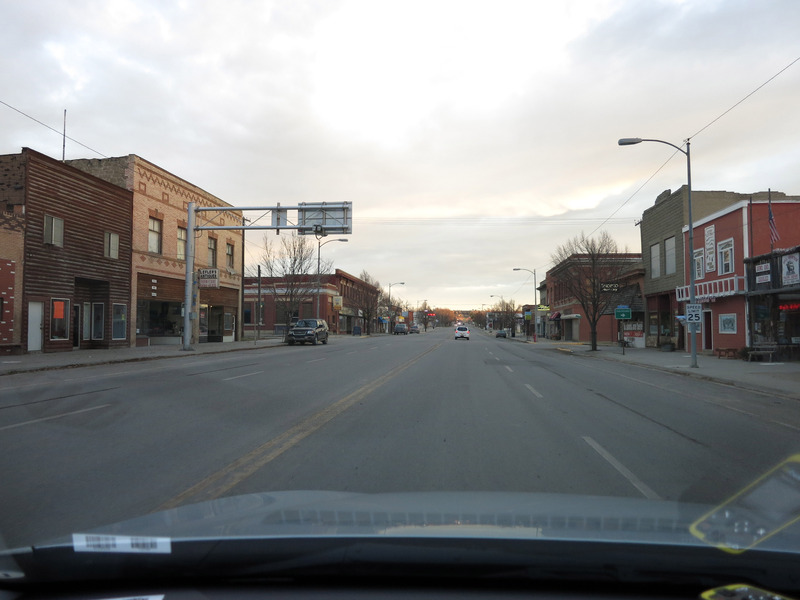 I pass through the town of "Roundup, Montana" on my way to Fort Peck Reservoir, Montana. 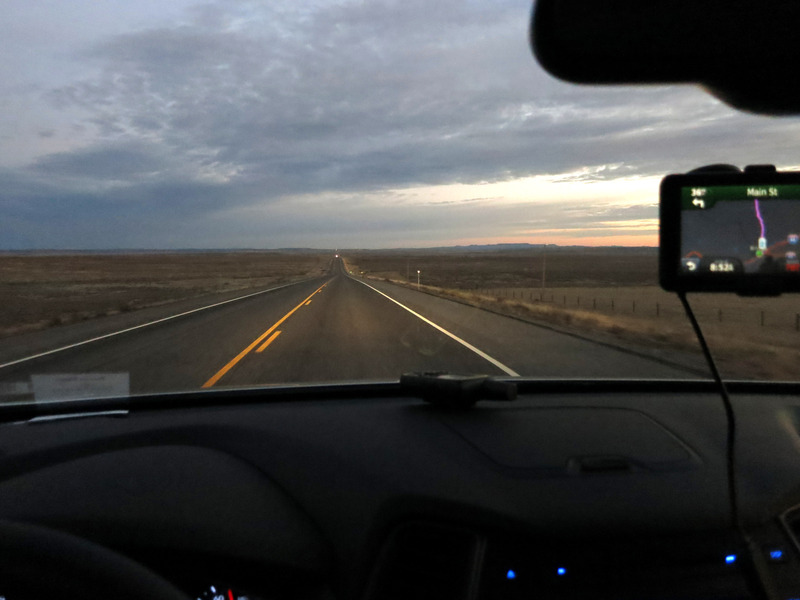 As the sun comes up I'm moving along, you can see two GPS in the picture below. 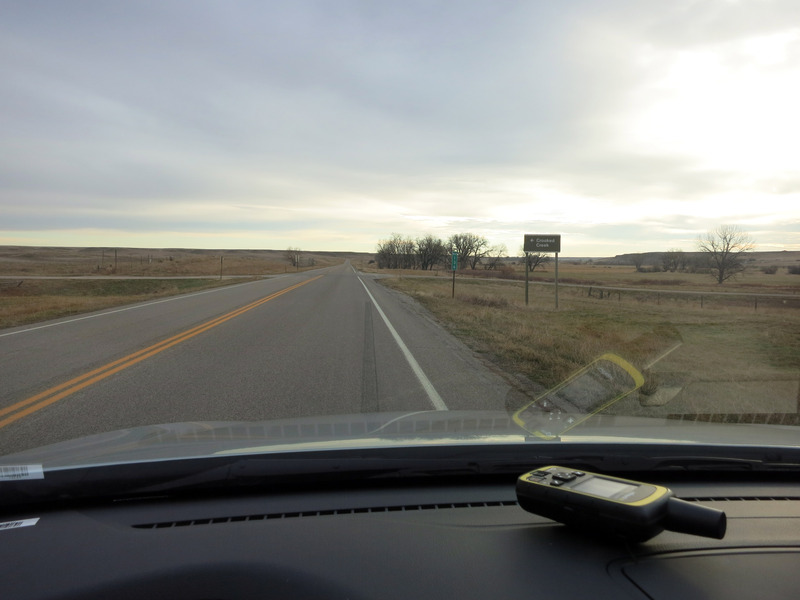 The "car GPS" is attached to the window and shows the speed limit in this area is 70mph, I'm currently going 76 mph. 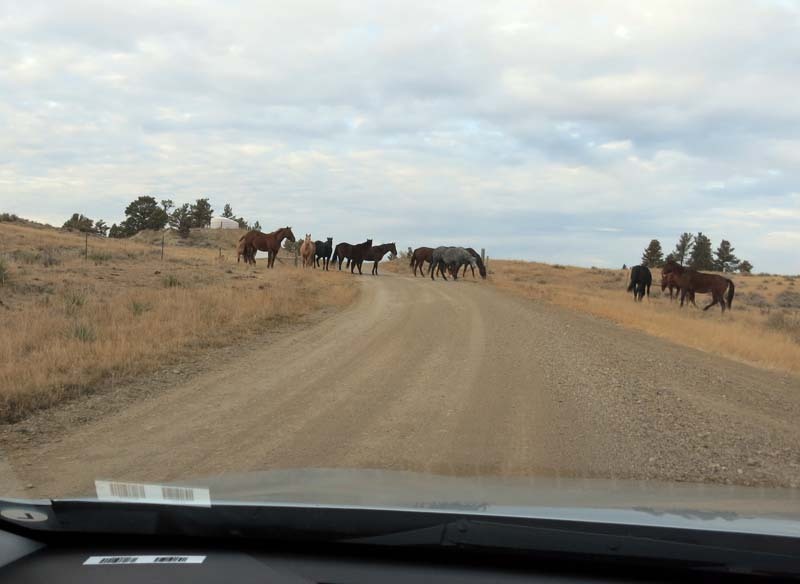 Below is the morning rush hour and all the traffic you would normally run into at 9am in Montana. 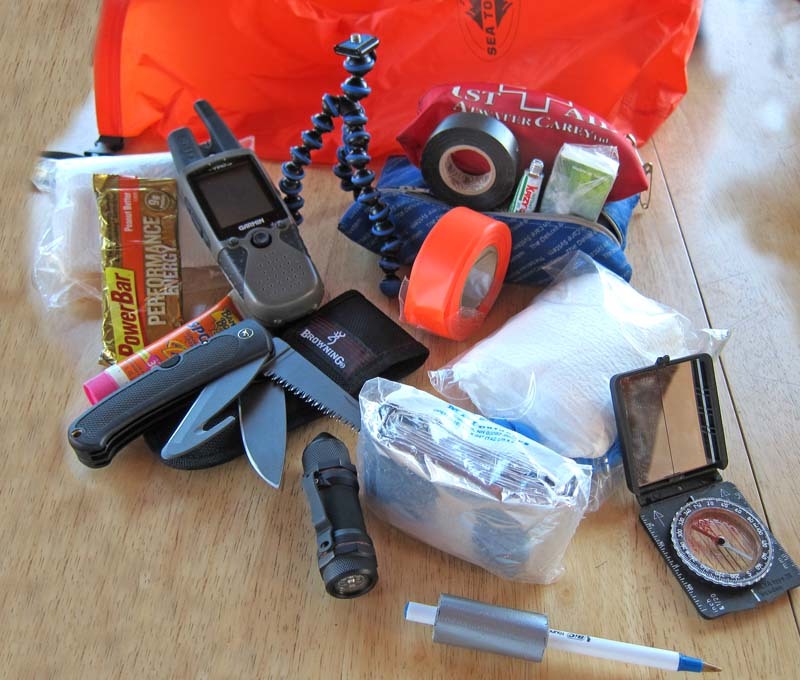 The OTHER GPS is the DeLorme inReach SE which is tracking my position for anybody who is interested. 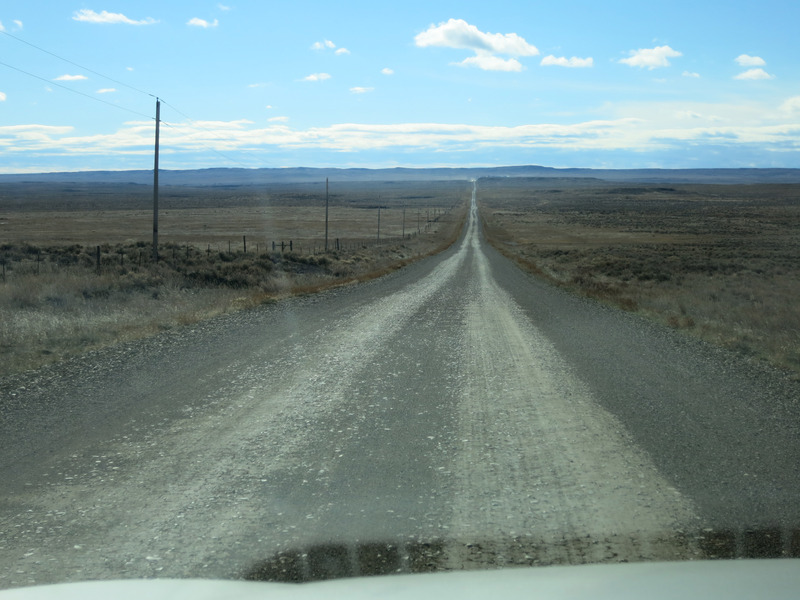 The turnoff to Winnett, Montana. 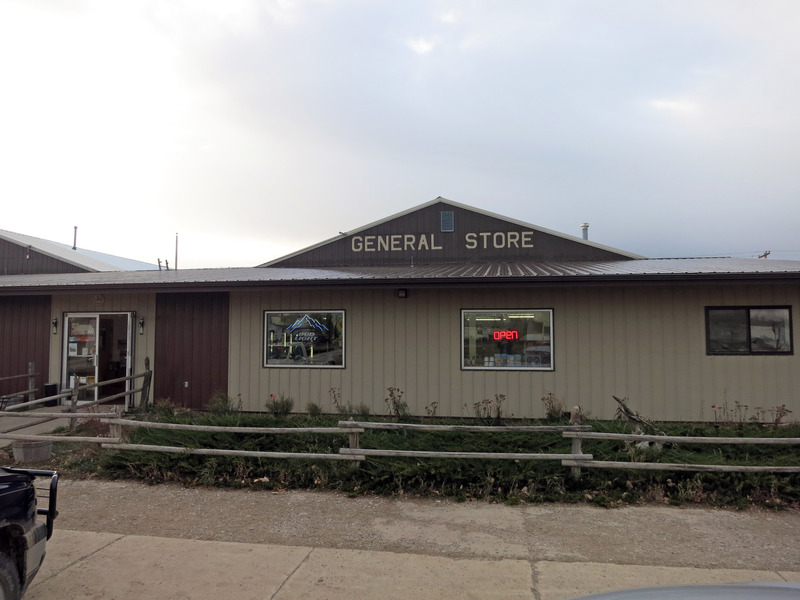 In downtown Winnett, Montana there is a nice General Store that sells milk, cheese, sandwiches, a bunch of tools and supplies. 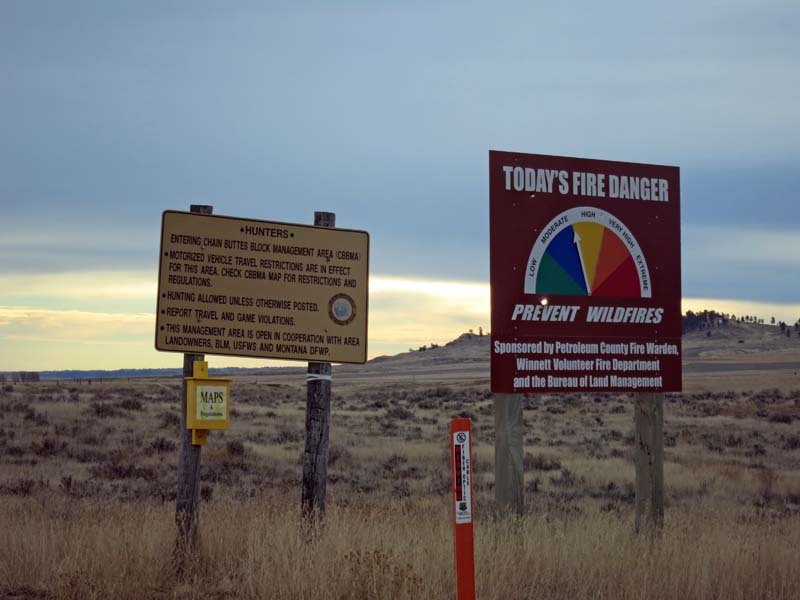 Quite useful, this is about 30 miles from our camp. Just north of Winnett is the sign to "Crooked Creek". I turn left at this road and leave the paved road for the next 30 miles of gravel and dirt roads into "Crooked Creek Campground" on the banks of Fort Peck Reservoir. A few miles down the gravel roads, a sign says "29 miles to Crooked Creek". It has a few bullet holes in the sign. 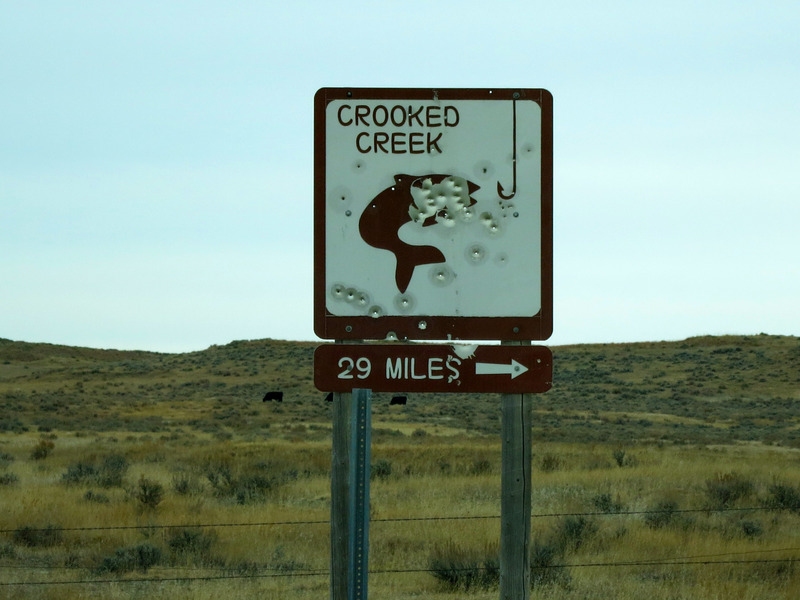 Signs leading to Crooked Creek Campground, Fort Peck Lake, Montana. A sign I've read before, but over the years I finally understand most of the references. 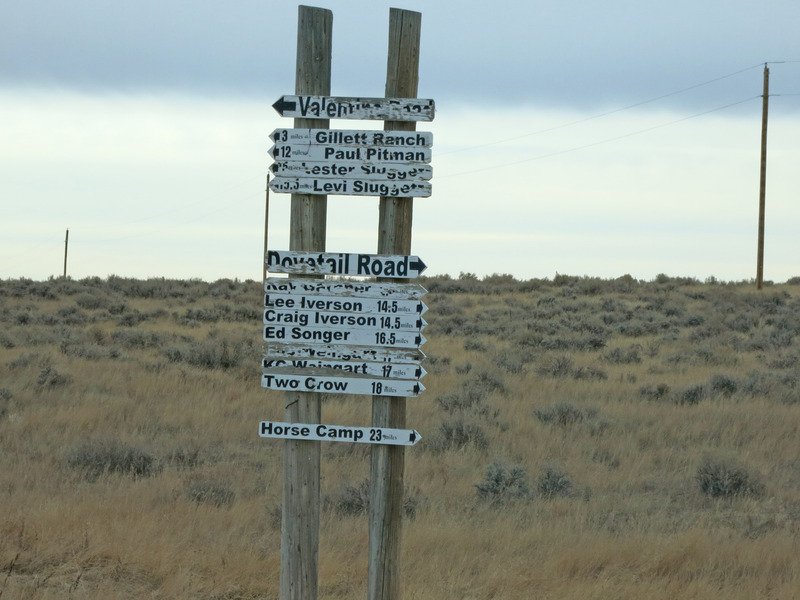 Valentine Road is the road to the left, I'm about to turn onto Dovetail Road and the second to lowest sign says "Two Crow in 18 miles" (that has some horses I took a video of below), and "Horse Camp" is another road in 23 miles. 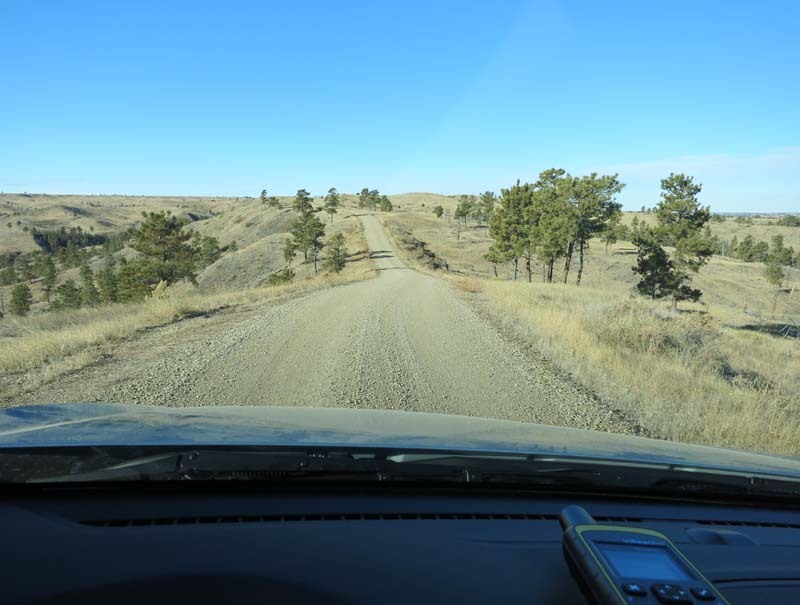 Driving along on Dovetail Road, it is a very well maintained gravel road. But it's REALLY lonely out here. 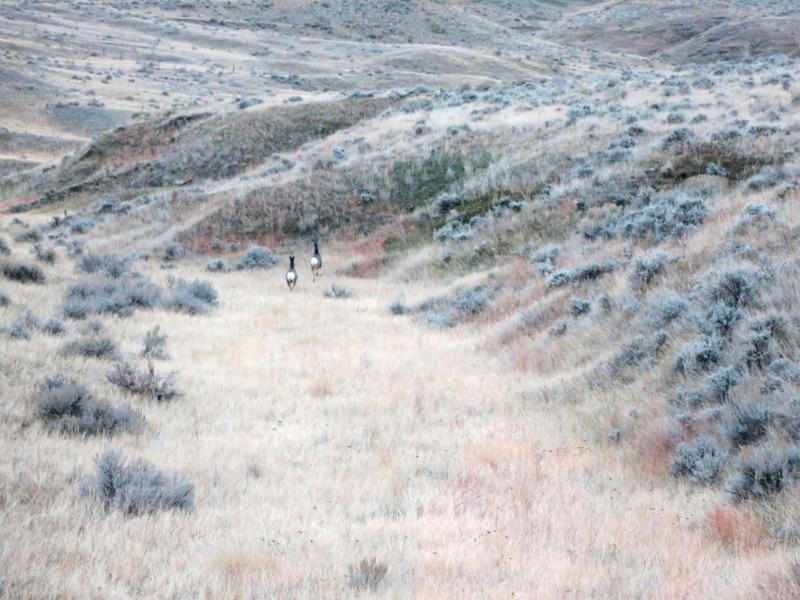 Saw the first two deer of the trip trotting off beside the road. 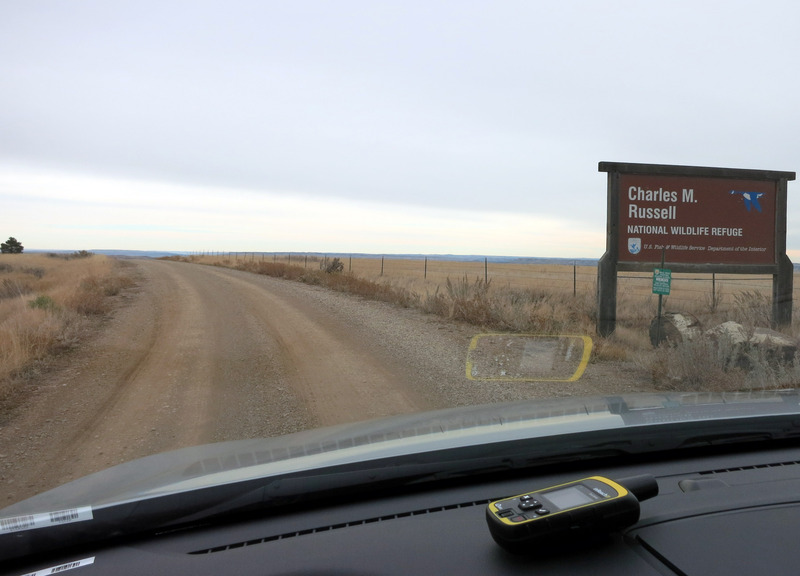 Entering the Charles M. Russell National Wildlife Refuge. 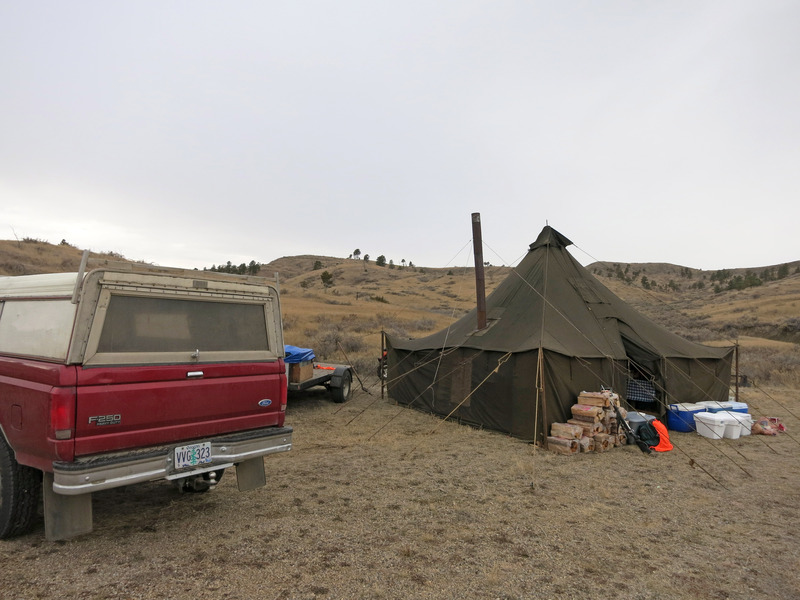 I arrived into camp about 11am, and it was JUST finished being setup. Everybody is here and early. 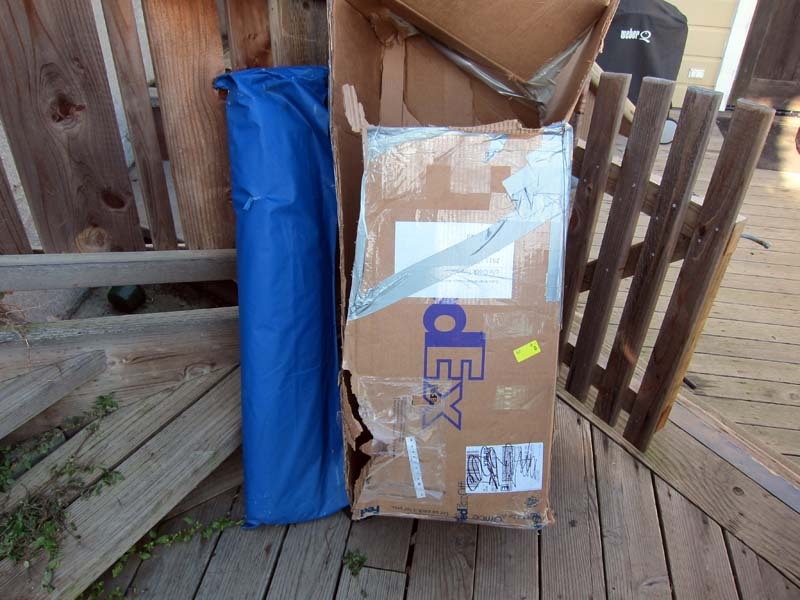 The pile of wood outside the tent below came from my SUV (brought from Billings). So time for an afternoon deer hunt for a few hours! First deer hunt, noon - 4pm, Saturday, November 2nd, 2013. 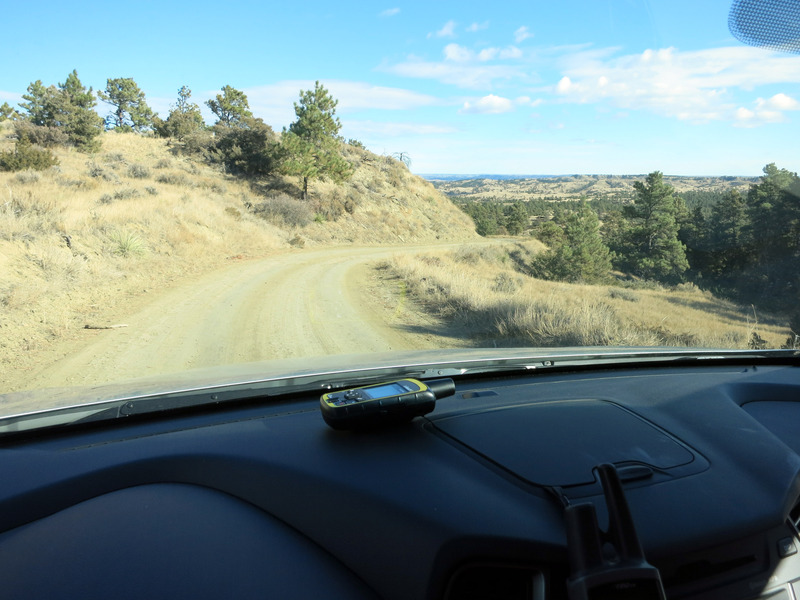 My DeLorme inReach SE GPS and two way satellite communicator tracks my position updating about every 20 minutes. Below is the map that was created live (each dot appears as the inReach updates). 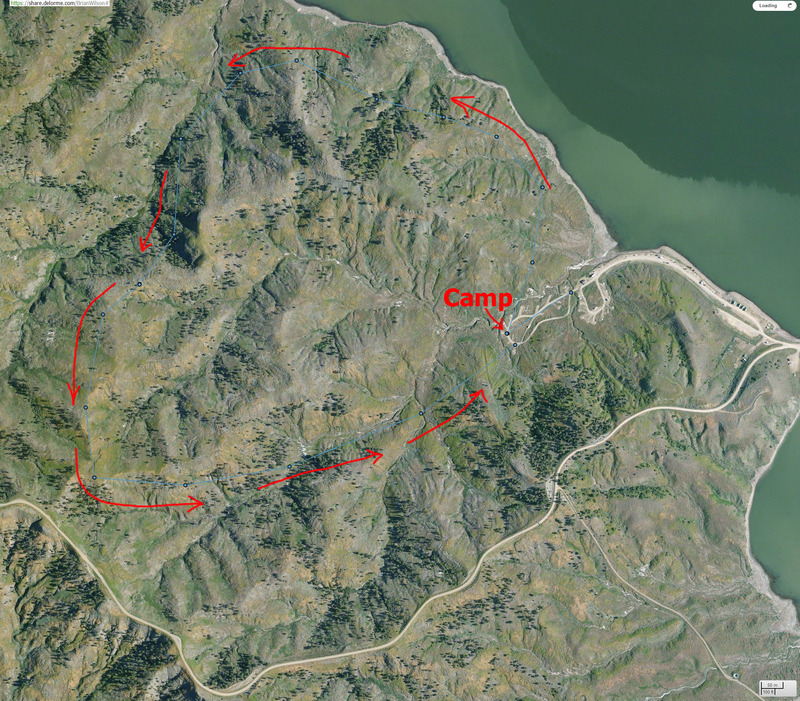 I started at the "Camp" and walked in the direction of the arrows. Click on the map below for a much larger version. 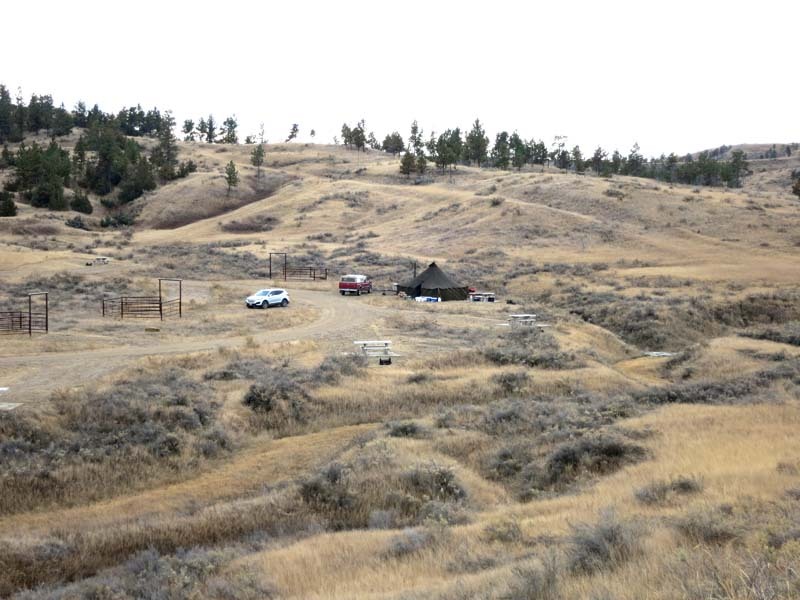 Here is a Google Map Link of Crooked Creek Campground, Fort Peck Reservoir, Montana. Below is a picture taken JUST as I walk out of camp, I turned around and took this picture. 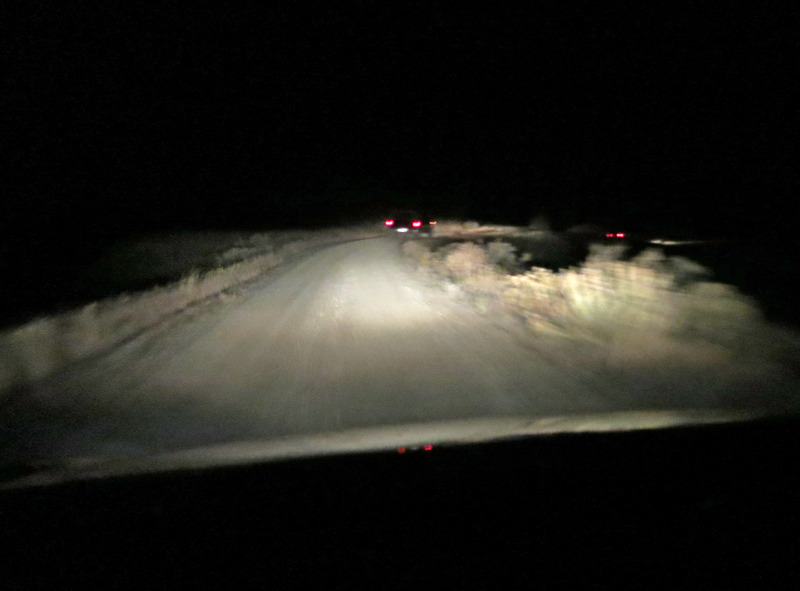 The silver SUV is my rental, the red pickup truck belongs to Bruce..
TThis is about half way through the hunt (maybe 2 hours in, the furthest point away from camp). I took a water and cookie break. 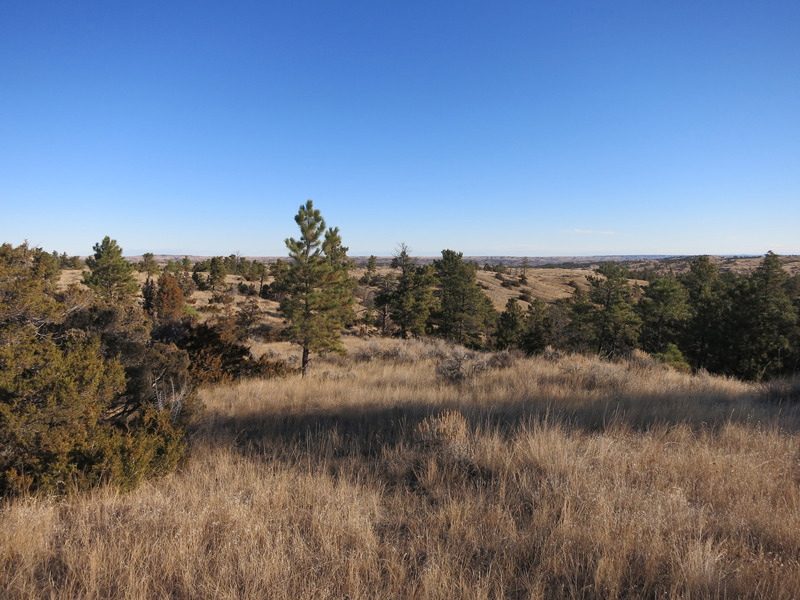 A panorama (use the horizontal scrollbar to see the whole thing) of the area I'm hunting in. 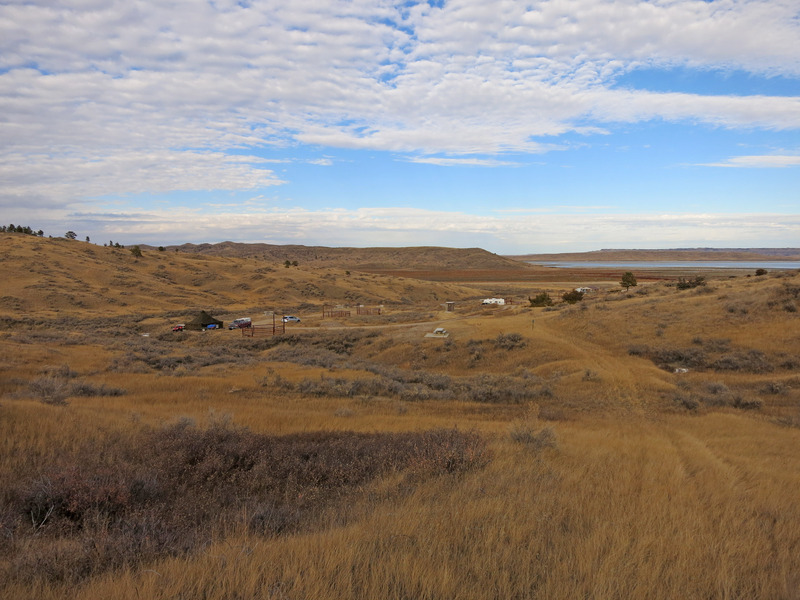 This is a beautiful area, you can see Fort Peck Reservoir off in the distance. A slightly wider version of the same picture. As I'm almost back at camp, I'm in a dry creek bed. 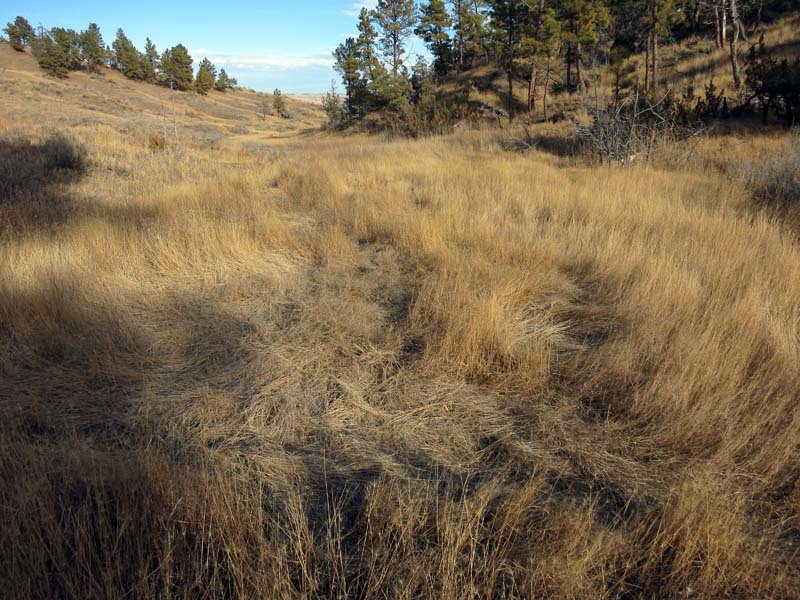 This has soft grass in it, and below you can see where a bunch of elk or deer made beds and slept here. 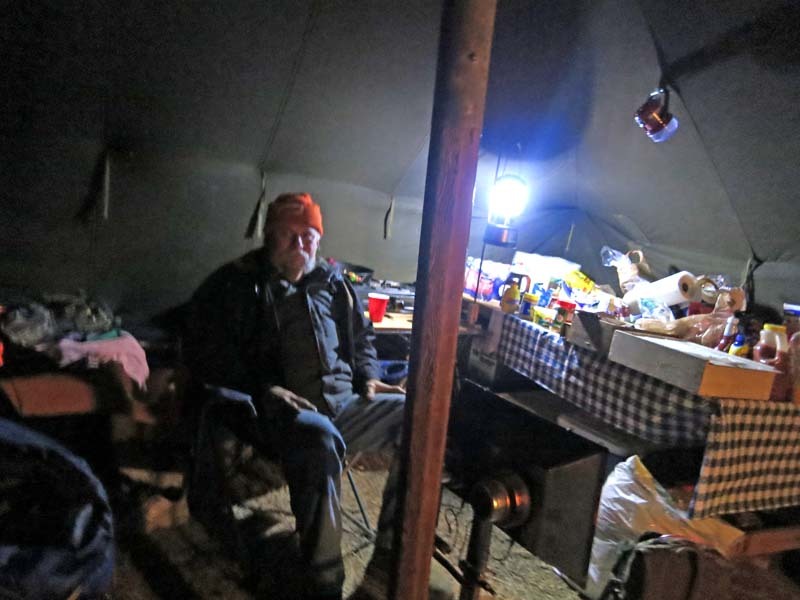 As I come over the ridge after walking in a circle for 4 hours, below is our camp. I left camp going towards the water you see and made a big circle to arrive back here. I took a drive to go look for Chip and Bruce and Steve, and saw this below. 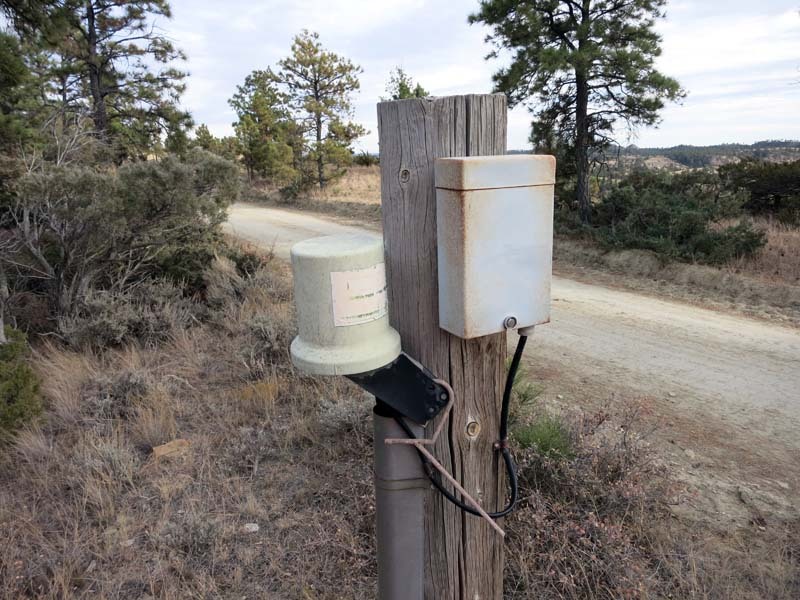 If you have any idea why the phone company would run lines all the way out here and have these boxes, please contact me at and let me know why?! It's crazy, there isn't any civilization for 30 miles in any direction, but here are these phone lines (they look like coaxial cable, but they say "Telephone company" on the side). 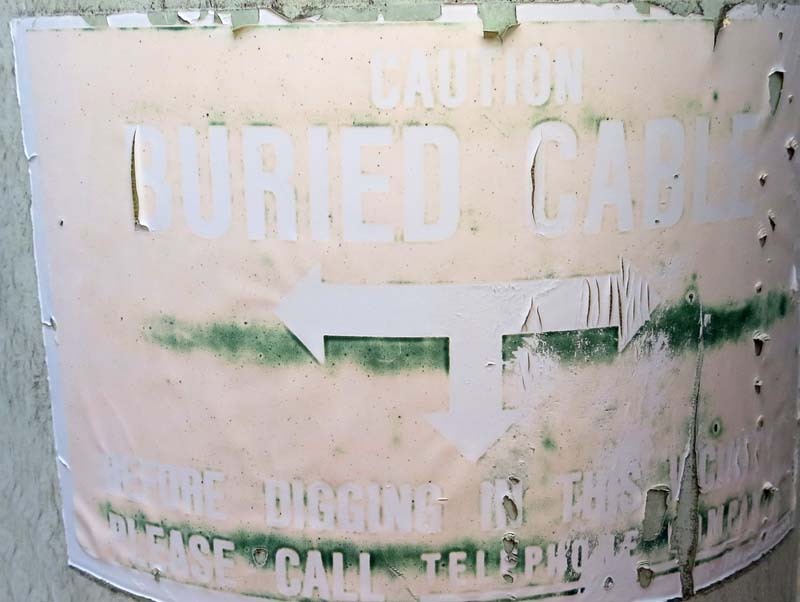 An up close picture of the cable box, it says "CAUTION, BURRIED CABLE, BEFORE DIGGING IN THIS VICINITY, PLEASE CALL TELEPHONE COMPANY". 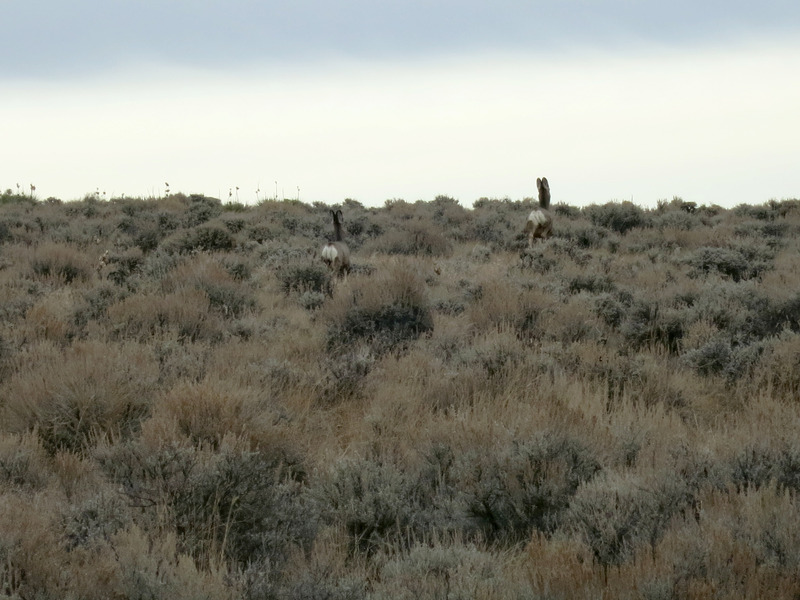 I ran across these free range horses which I think belong to "Two Crow Ranch". In the movie below, I start driving towards the horses, which just kind of stare at me wondering what I want. Click here for a very high quality QuickTime movie (will probably not work on Microsoft Windows computers). Notice the horses cannot cross the "cow grate" but cars can drive over them comfortably, it's a good system. 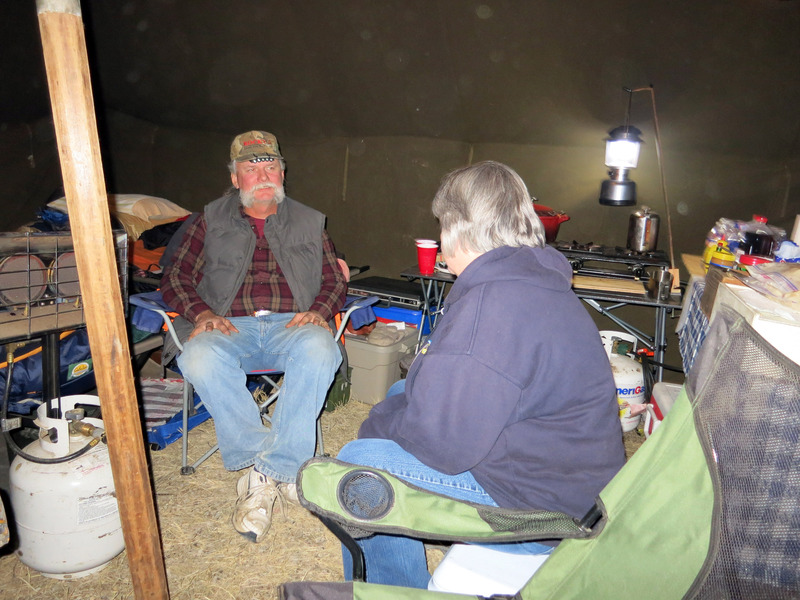 Here are some pictures of who was along on the trip in November, 2013. 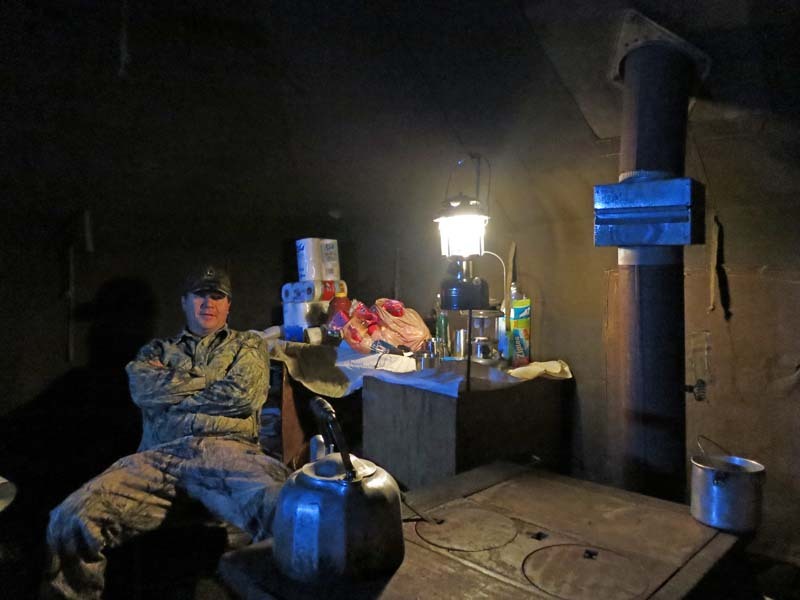 Below is Bruce Wilson sitting by the stove. Ralph Wilson the 3rd (our family has always called him "Chip"). Steve Sanders, by the cooking area. That's me (Brian Wilson) in the white shirt taking a "selfie" with Kip Linder sitting down in the cook's spot. Chip talking with Karen Linder, who is Kip's wife. Karen, Ralph (Chip) and Bruce are all brothers and sisters. Kip and Karen drove several hundred miles from eastern Montana to come say hello. 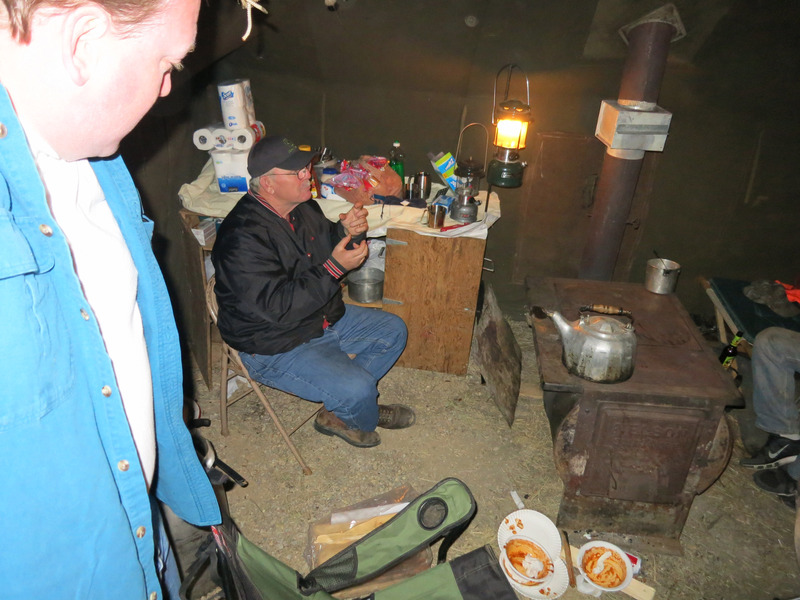 The next morning (Sunday morning) we head out of camp for a nice big day of deer hunting. 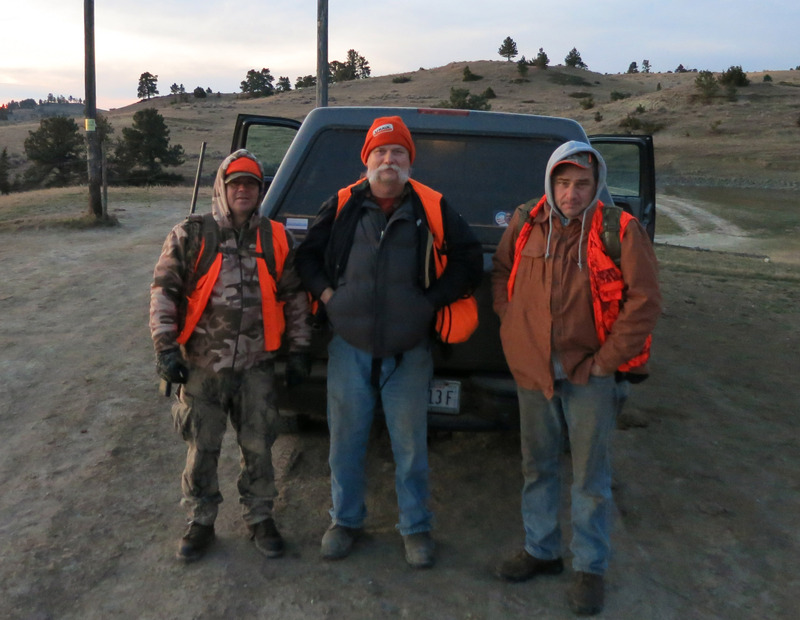 As the sun comes up we almost ALWAYS see deer, so we leave before sunrise to leave the pickup truck just as the sun rises and we can start hunting. 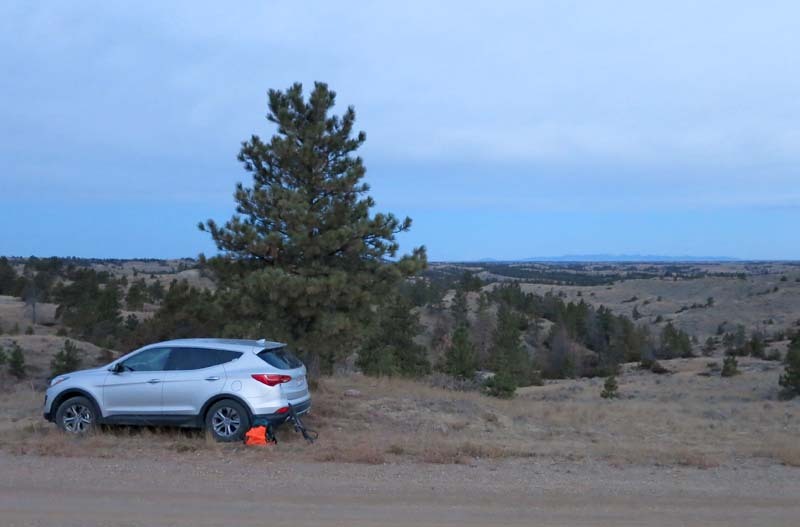 Here I am at sunrise, about to hunt the valley pictured just past my SUV. That is my backpack and hunting rifle leaned up against the SUV. 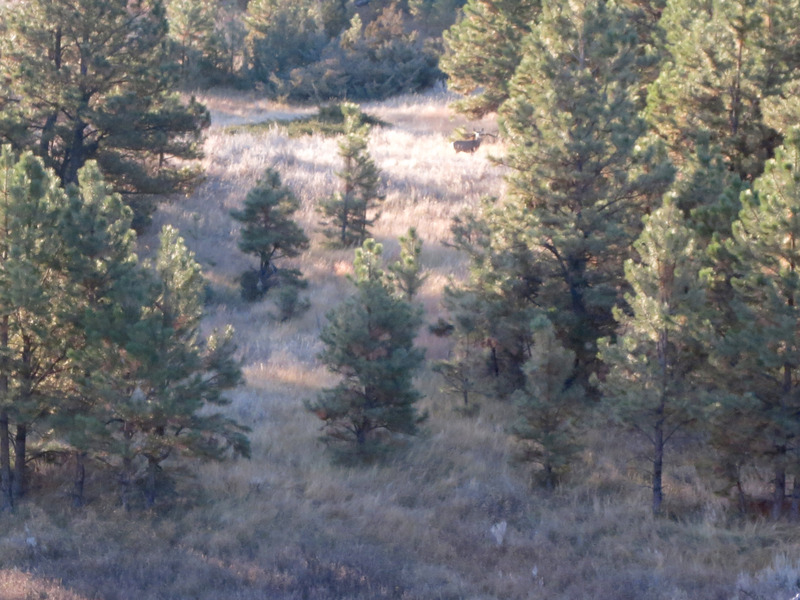 Sure enough, just 20 minutes later I spot a buck (male) deer and took a shot, but missed. 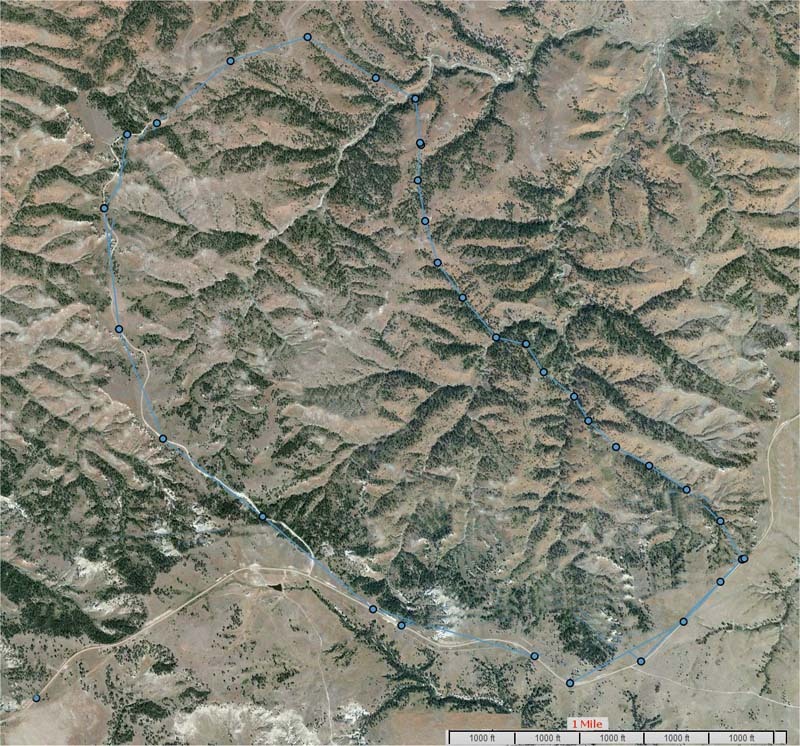 The hunt I'm doing is a big circle shown on the map below with blue dots. (Click on the map for a larger version.) The blue dots and connecting lines below are all created by the DeLorme inReach SE GPS that was creating these tracks and sending them up to the map servers on the fly as I walked. The circle below took me about 5 and a half hours to walk, and it's about 5 miles (up and down and over hills and through valleys). 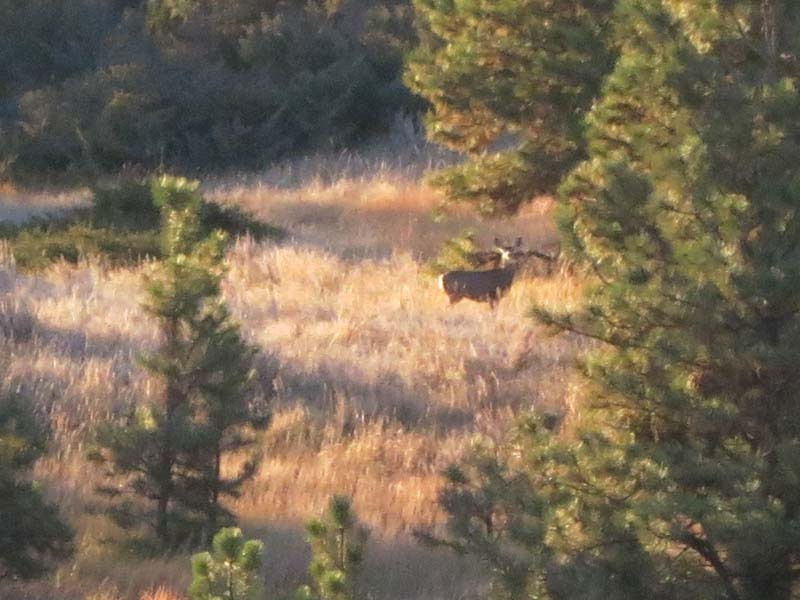 An hour or two into the day, it's a beautiful day, and I even saw deer! Later in the afternoon, I'm exploring down where I knew Bruce was hunting. This is a typical logging road out here. The final morning, Monday, November 4th, 2013. From left to right: Steve, Ralph (Chip), and Bruce. I can only hunt half a day then I have to leave, so this is the last I saw them. 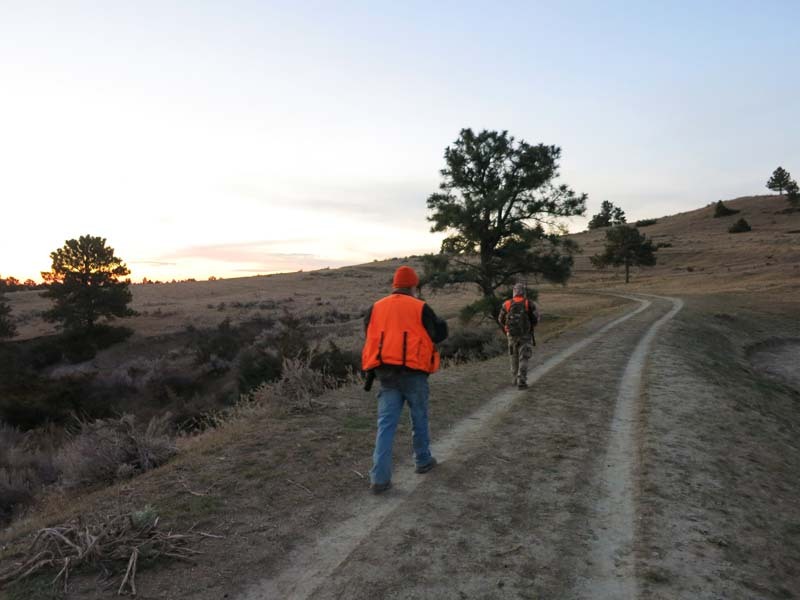 At sunrise, two hunters (Chip and Steve) walking off to go deer hunting. Just as I decided I was going to turn back and head out, I hopped up on this flat rock and looked up and saw the doe (female deer) in the picture below staring at me. There were actually at least two and maybe three deer there, but you can only see one in the picture below. 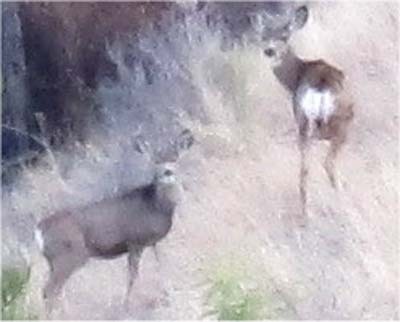 A closeup of the deer looking at me. I head back to camp, pack up, and here I am driving home from Crooked Creek Campsite, Fort Peck, Montana. Heading south towards Winnett, and then onto Billings, then fly home! 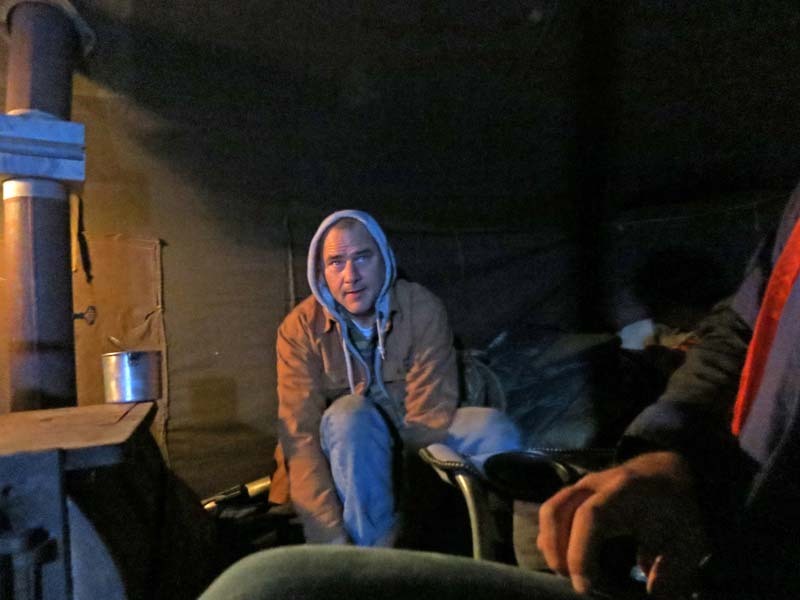 Next Time - Rent an RV! 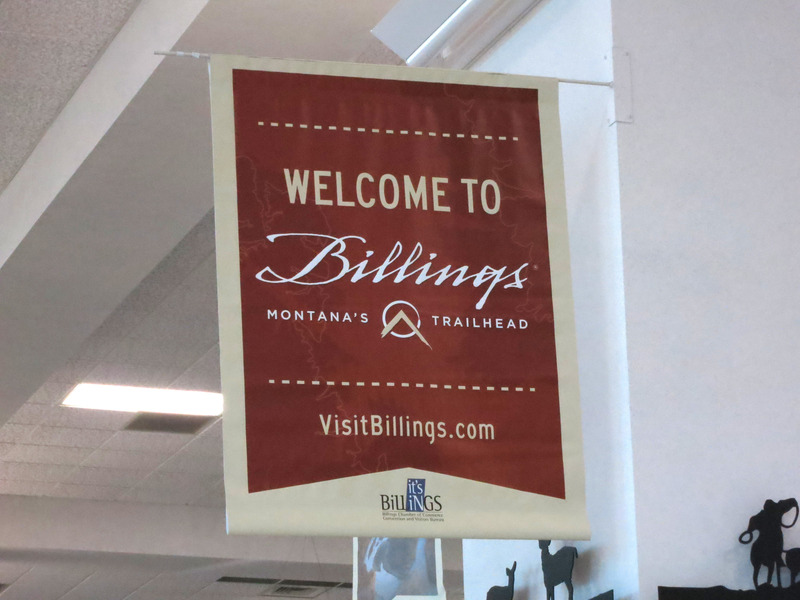 "Cruise America in Billings, MT" rents an RV for $500/week. Don't need cot in this case. Or a "Travel Trailer" from Pierce RV Supercenter. Buy Paper Mixing Bowls (pancake mix) - might be sugar cane fiber? Search for "32 oz sugar cane fiber bowl", one brand is "Stalkmarket". Alternative is 48 oz popcorn cups or soup containers. Game bags? Left 2 more behind last trip.